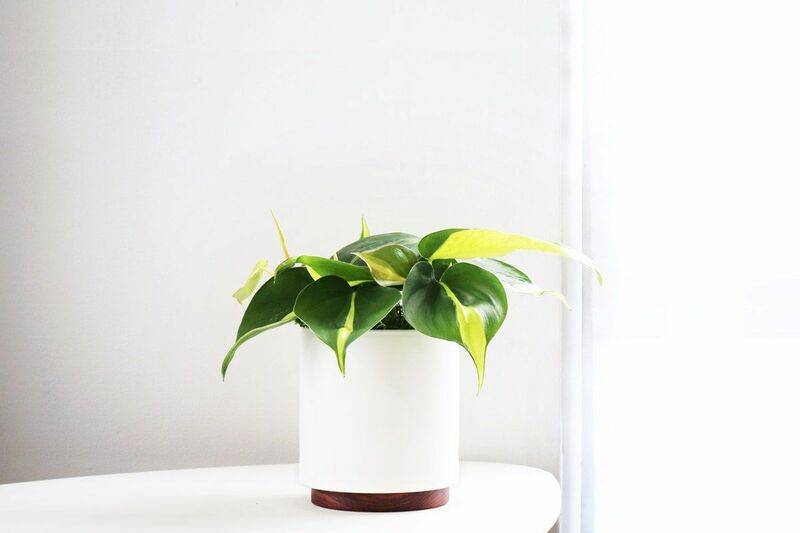 An incredibly resilient tropical plant, this colorful variation of the heart-leaf philodendron is the perfect choice for beginners. 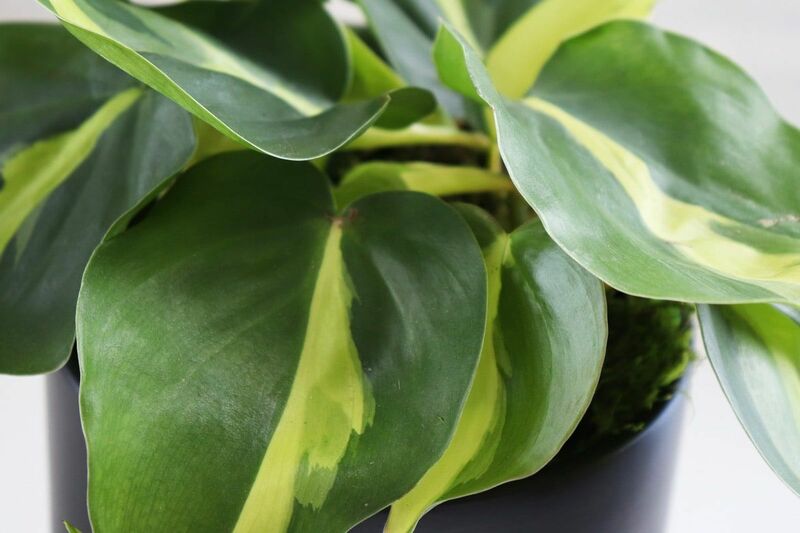 From a sporadic watering schedule to poor light conditions, the Philodendron Brasil can handle almost any type of neglect, meanwhile adding touch of tropical beauty to any space. Enter your email below to get notified when it's available. One of many different varieties of philodendrons, this particular cultivar gets its name from the splash of yellow at the center of its leaves, thus resembling the Brazilian flag. Meticulously hand-crafted ceramic cylinders, designed specifically for your plants to thrive. Wood plinths handcrafted from sustainably-harvested rosewood and finished with non-VOC natural oil. At Léon & George, we believe the world needs more plants – not just in our homes, but in our forests. To bring our impact full-circle, we plant a tree in a U.S. National Forest for every plant sold. Uh oh, this product is not available for delivery to [[city]] (change). Good news - no tax and shipping is free! (change) but we don't deliver there. Follow the instructions below and you should not have problems with your Philodendron Brasil. The Philodendron Brasil is adaptable to most amounts of light, though it grows best in bright indirect sunlight. Be sure to avoid prolonged exposure to direct sunlight. The Philodendron Brasil likes its soil to be kept just barely moist, but not soggy. Always check the soil first before watering, and do not water if it is still quite wet. The best way to give it water is to take the plant out of the decorative pot, thoroughly water it and let all the excess drain before putting it back. As with all plants, avoid overwatering and drain any excess water from the bottom of the pot, as standing water may cause root rot. If the plant is overwatered the leaves turn yellow and wilted, if it is underwatered it will droop and eventually dry out completely. Feel free to trim away any dead or dying brown leaves by cutting them off at the base of the leaf's stem with sharp scissors. It's recommended to keep this plant out of direct reach of pets and children as it may slightly irritate them if ingested. Write us at hello@leonandgeorge.com with any questions about your Philodendron Brasil not covered here.